Funds have been sent to Nepal. School coordinators and staff are purchasing and packing school supplies for the year. The supplies will be transported first by truck, then by jeep, then for 10 days by yak caravan. Ku – in 2018 we provided a one-time grant to Ku. After meeting with the school coordinator in December we have decided to continue our support. This school has multiple sponsors. Tiling – this is a new school for us. In February, I met with the people from Tiling when they lost a primary sponsors. For 2019, we have agreed to a one-time grant to fund the transport all supplies and to purchase food supplies for teachers and for student lunches. We are now the primary sponsor of Karang School. Karang is the home village of Dorje Dolma – Yak Girl. In February we sponsored a three-day training program for 17 school coordinators, teachers and nurses. The focus was water quality – safe drinking water, proper use of toilet facilities and general hygiene practices. The program is called “WASH” – water; sanitation and hygiene and was started by a Canadian NGO – CAWST. “We are from Dolpo, one of the most remote areas of Nepal. The only water source at our place is also far away and gets polluted on the way while reaching to the consumers. Community people and school students always get sick consuming polluted water. We came here to attend the School WASH training conducted by ENPHO to learn and exercise a proper WASH practice in order to mitigate this problem in near future.” Tsewang Gurung, Project Coordinator, Namdo School. “We were able to understand about the proper WASH practices at schools and community through this training. These were very simple but important things which we have been neglecting till date. After getting this training, I am confident that I can deliver these learning at the school and community people.” Wangmo Thapa, Nurse, Dho- Health post. “I had a mindset that this training would practically teach me the Water Purification – Point of Use (PoU) options, but I have learnt much more than what I had actually expected. The training helped me understand about the importance of appropriate WASH practices at schools.” Kunsang Lhamo Lama, Teacher, Shelri Dugdra School, Dolpo. 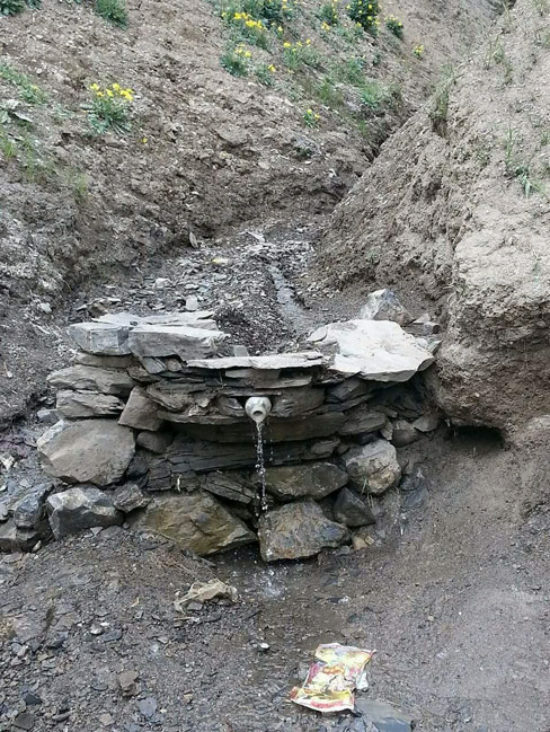 Our next step is to fund an ENPHO expert to visit the Dolpo and determine how to install a permanent, practical safe drinking water system at one location – probably Saldang. Unsafe drinking-water and inadequate sanitation are a leading cause of preventable death and illness here. Last year one of the Saldang students died from a diarrhoeal disease , and one of the teachers nearly died. We can really make a difference here! Altitude Project, along with 8 other NGOs, is providing funding for a teacher training program. Eighty teachers from the Upper Dolpo will receive ten days of training starting on March 26th at Dunai in the Lower Dolpo. Most of the project teachers have had no teacher training. They are people from the Dolpo who have completed high school and / or college in Kathmandu and that wish to return to help people in their villages. It is admirable on their part and touching to witness. Part of the training program includes follow-up in the field to help the teachers implement the skills they have learned. This is an exciting initiative and we are proud to be part of it. We are delivering another 125 solar lights (by LuminAID) this year. These simple lights make a difference. Many of the older adults suffer from very poor eyesight due to exposure to long hours of sunlight working in the fields at 14,000 feet elevation. To have a light in the home in the evening is a game changer. It allows children to work on their studies in the evening. Travel between homes and night becomes easier and they are extremely useful for trips to the toilet as well. There have been some reports that the lights seem to keep snow leopards away from animal pens at night but I expect they will soon figure that one out! 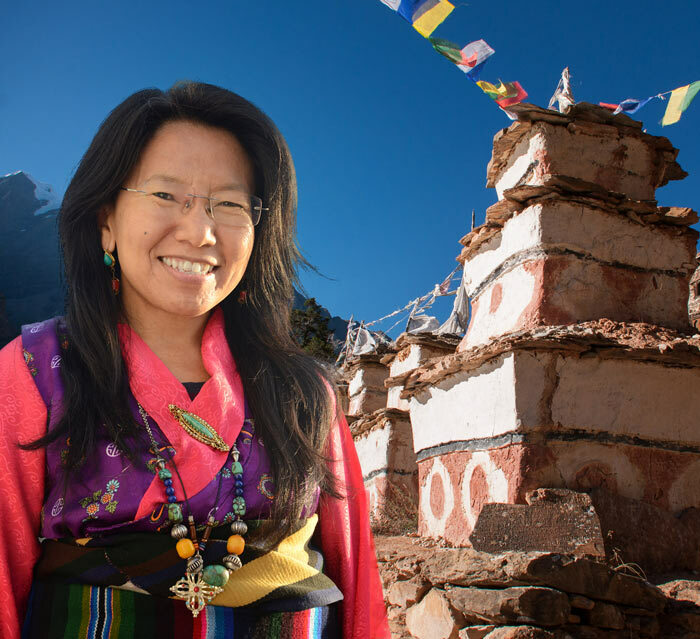 Dorje Dolma’s book tour to the west Kootenay and Okanagan valley was a huge success. She broke attendance records at several venues. Special thanks to all those who helped get the word out! And now Dorje is in Nepal. She was invited to be the keynote speaker and the WOW Women’s Achiever Awards in Kathmandu as part of International Women’s Day celebrations. Turkish Airlines and Hyatt Regency sponsored her trip! We are planning 2 trips to the Upper Dolpo for the fall of 2019. Those who expressed interest will receive more information soon from Dave Gluns, our trip coordinator. As Altitude Project grows, and it seems to be growing, we will need more help. If you are interested in becoming involved, please email us with the reasons you are interested and something about your skill sets – thanks! If you can give a little – it will help a lot! And remember – every dollar goes directly to Nepal! Altitude Project is a registered charity in Canada. Tax receipts are issued for all donations. We can now accept securities as donations. We have an account with Canada Helps; they handle transactions on our behalf. Canada Helps is a large non-profit charity that helps other charities raise funds. They make it easy, click “Donate Now -> “Donate Securities” and then follow the instructions. Donating stock can be a big benefit to donors, as it eliminates capital gains tax! And please be sure to include your name and mailing address when donating. We need both to issue a tax receipt – it is a CRA requirement! Also, please include your email address as we send receipts by that way to save on the cost of stamps! 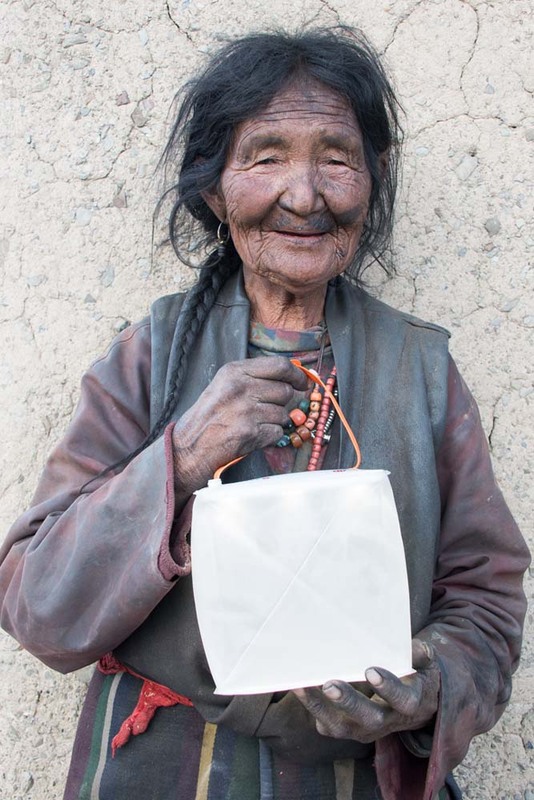 One of our most important new initiatives has been menstrual education and support for Dolpo women. 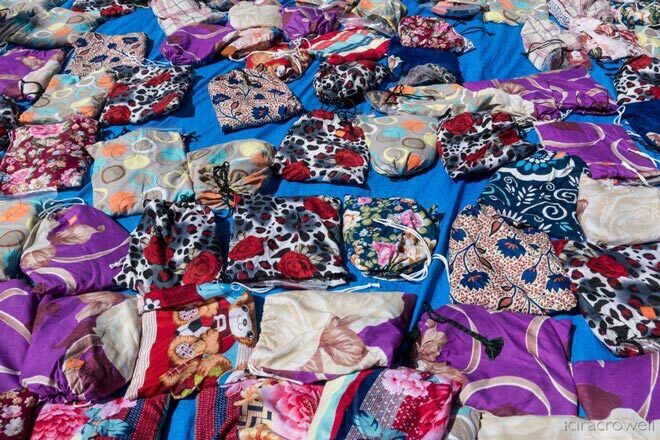 Hundreds of reusable menstrual hygiene kits were given to women, along with self-care education. Donated funds supported the purchase of 2,000 hygiene kits, 1,000 for 2018 and another 1,000 for 2019. Each colorful kit contains reusable cloth pads, soap, underwear and information. If girls don’t have access to sanitary pads they will often choose to leave school early, or stay home altogether. This means they miss an average of four days of school each month, or 20 per cent of the school year. This puts girls at an immediate disadvantage and can lead to lower grades; some may eventually drop out of school altogether.